The TIS 415 determines the rotary field of three phase systems and rotational direction of three phase motors, using non-contact or contact technology. Simply place the tis 415 on top of the motor with the base of the instrument facing the shaft of the motor, press the “green” button and the magnetic field of the motor will be detected along with its clock wise or anti-clock wise rotation. 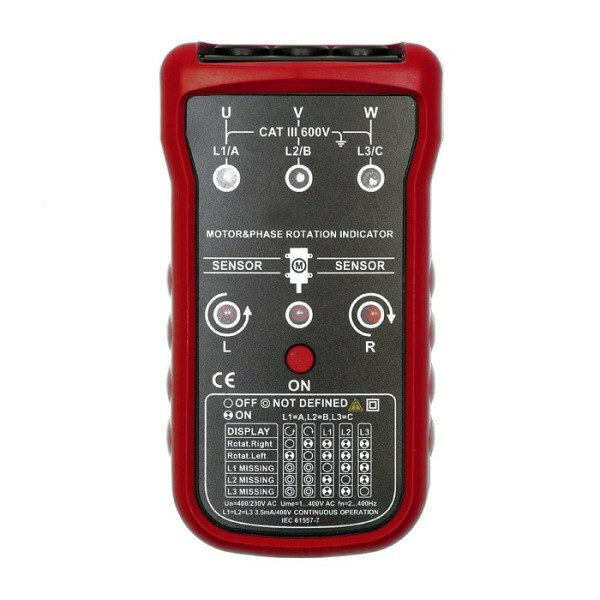 Alternatively connect the TIS 415 with the test leads to the motor terminals. Give the shaft a quarter turn to the right and the rotational field will also be displayed.